The petitioner has accused the U.P. Government of concealing true facts from the Court by providing the name of a candidate, whose name had already been removed from the list of proposed candidates by the Chief Minister upon reservation being expressed by the Chief Justice. In an extra-ordinary turn of events, the swearing-in of Justice (retd.) Virendra Singh as Uttar Pradesh Lokayukta on Sunday, was deferred following an undertaking to that effect given by the U.P. Government, after his controversial appointment was challenged in the Supreme Court by a journalist. When the writ petition filed by Sachchidanand Gupta came up for hearing in a special sitting of the Court on Saturday at 4:30PM, additional advocate general of U.P Gautam Bhatia gave an undertaking before the Court that the swearing in would be deferred to await “further proceedings” in the matter. Accordingly the bench comprising of Justices AK Goel and UU Lalit before whom the writ petition had come up, listed the matter before the appropriate bench on January 4, 2016. Advocate Kamini Jaiswal appeared for the petitioner. Justice Virendra Singh, a former High Court judge was appointed as the U.P. 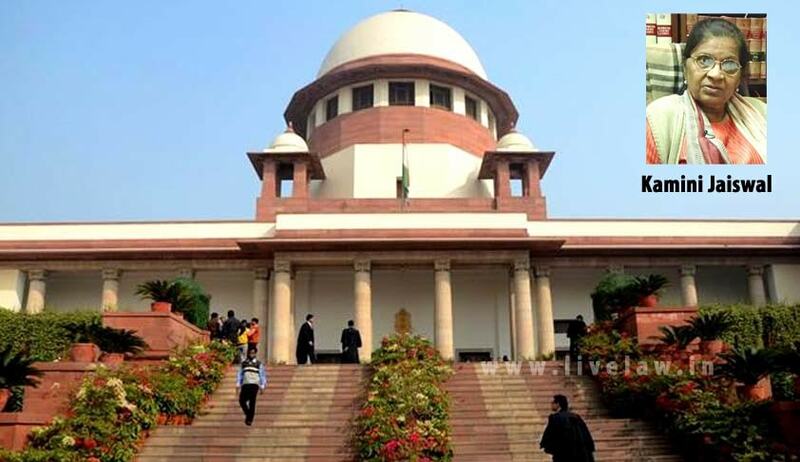 Lokayukta by the Supreme Court in exercise of its powers under Article 142 of the Constitution on Wednesday following the lack of consensus in the three-member committee of the Chief Minister, the Opposition Leader and the Chief Justice of the State High Court despite two rounds of talks. The committee was supposed to submit the name on Wednesday with the Supreme Court and file a compliance report. The apex court had on Monday given the UP government 48 hours to comply or face “dire consequences”. A five-hour long meeting of the committee failed, after which talks resumed at the residence of Chief Minister Akhilesh Yadav in Lucknow, which also failed to end the deadlock. Finally, on Wednesday, the Supreme Court, citing the “failure of the constitutional authorities” to comply with its order, had invoked its constitutional powers under Article 142 to appoint Justice (retd.) Virendra Singh, a former judge of the Allahabad High Court, as the new Lokayukta and thereby ended the logjam on the issue. Justice Virendra Singh’s name was chosen by the Supreme Court for appointment to the post of U.P. Lokayukta from a panel of 5 names submitted before it by the U.P. Government. Thereafter, Uttar Pradesh governor Ram Naik on Friday formally approved the appointment of Justice (retd.) Virendra Singh as the state's new lokayukta, ending the prolonged political drama over the issue. But in a fresh twist, Chief Justice D Y Chandrachud of the Allahabad High Court had shot off a letter to Governor Ram Naik, expressing his displeasure at the fact that Justice Virendra Singh’s had been included in the panel of names sent to the apex court without consulting him and ignoring his objections. In his 50-page letter to the U.P Governor, Justice Chandrachud said that he was kept in the dark by the U.P. Government and despite assurances by the CM that the name of Justice (retd.) Virendra Singh would not be included, it was done. In his writ petition challenging the appointment of Justice (retd.) Virendra Singh, Sachchidanand Gupta has accused the U.P. Government of concealing true facts from the Court by providing the name of a candidate, whose name had already been removed from the list of proposed candidates by the Chief Minister upon reservation being expressed by the Chief Justice. The petitioner has also averred in his writ petition that the Government Counsels appearing for the U.P. had incorrectly submitted before the Apex Court that the Chief Justice of Allahabad High Court had neither expressed his mind on the five names proposed by the State Government nor had he suggested any names on his part when media reports were to the contrary. The petitioner has relied on the news report titled CJ “Upset”, writes to governor; CM Meets him to clarify govt’s point” which had been published in the Hindustan Times, Lucknow Ed. On 17.12.2015 authored by Journalist Umesh Raghuvanshi in support of his contention. During the course of the hearing on Saturday, the bench comprising of Justices AK Goel and UU Lalit wondered as to how the name of Justice Virendra Singh was placed before its bench when the Chief Justice of Allahabad High Court had specifically made some objections. When the bench remarked that there has been no statement by the government denying the stated position of the Chief Justice who had written a letter to the Governor and reported in the media, UP's additional advocate general Gaurav Bhatia gave an undertaking on behalf of the government that there will be no oath taking ceremony on Sunday. The matter was thereafter listed for consideration on January 4, 2016.